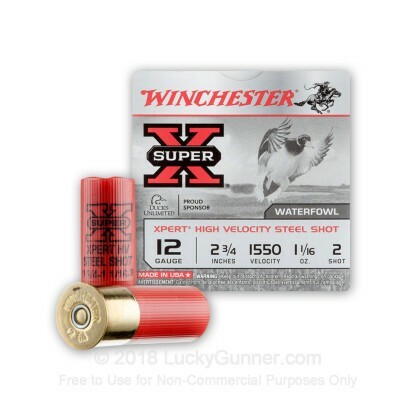 This lead-free high velocity waterfowl load from Winchester is an excellent choice to accompany you on your next duck hunt. 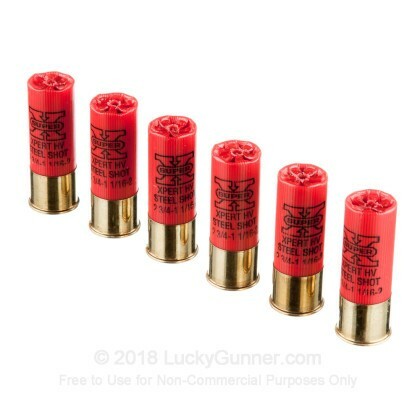 Each shell in this box of 25 fires a 1-1/16 ounce column of #2 steel birdshot at 1,550 feet per second, producing solid knockdown power even against relatively distant birds. 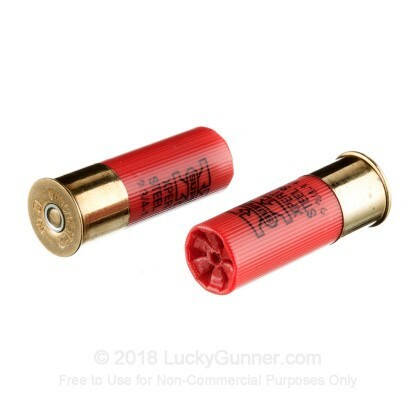 Steel shot is necessary for waterfowl hunting due to laws mandating its use in the aquatic areas where ducks and geese are found. 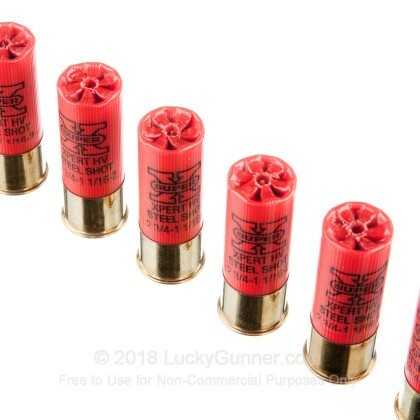 These laws were enacted to protect sensitive wetlands, which are much more vulnerable to lead contamination than upland habitats. 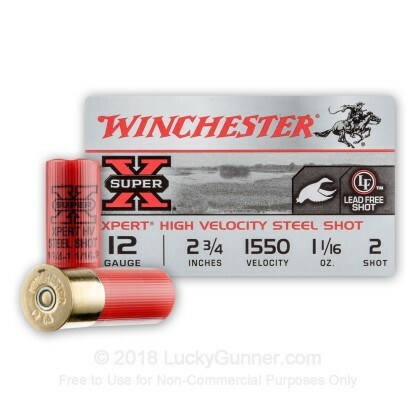 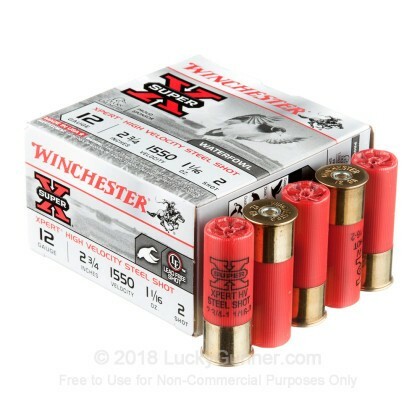 Winchester ammunition has been manufactured since the 19th century and enjoys a superb reputation for quality at a reasonable price.